The Silver Lake - A Winter’s Tale (Der Silbersee) is, for many, Kurt Weill’s masterpiece. Closed down by the Nazi authorities in 1933 and not performed for many years, this is a piece about those who are left behind. With The Seraglio, Mozart was conscious of his Viennese audience’s fascination with all things eastern and he up-ends all possible stereotyping in his singspiel. If you expect tyranny from everyone who frightens you, look closer at the Pasha. ETO’s period production of The Seraglio is a charming confection with a beating heart. Sung in English. With English surtitles. 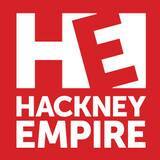 Halloween party to the stunning Hackney Empire for its first large-scale drag ball. ... ’s roster of super talented drag queens and kings will be headed by the now veteran of the Hackney Empire... going to have a live ' Res-Erection '.